The National Cancer Institute (NCI), Cancer Research UK, the Wellcome Trust Sanger Institute, and the foundation Hubrecht Organoid Technology announced a new collaboration to develop the Human Cancer Models Initiative (HCMI), a new, globally accessible bank of up to 1,000 new cancer cell models aimed at significantly accelerating cancer research. The project will leverage new cell growing techniques to allow scientist to create models for cancer that better resemble the tissue architecture and complexity of human tumors than those currently available. “As part of NCI’s Precision Medicine Initiative in Oncology, this new project is timed perfectly to take advantage of the latest cell culture and genomic sequencing techniques to create models that are representative of patient tumors and are annotated with genomic and clinical information. This effort is a first step toward learning how to use these tools to design individualized treatments,” said Louis Staudt, M.D., Ph.D., director of NCI’s Center for Cancer Genomics. The participating research organizations in the United State, United Kingdom, and the Netherlands aim to more quickly develop the models by avoiding unnecessary duplication of efforts. Under the collaboration, HCMI participant will produce the cancer models by using tissue from patients with different types of cancer. Their work will include new cell models of rare and children’s cancers, which are often hard to come by, or simply do not exist in existing cell line collections. 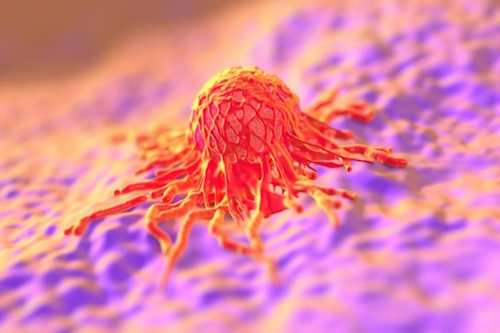 Researchers using the new cell lines will have access to the sequencing data from the tumors and derived models, along with clinical data about the patients and their tumors. All information related to the models will be shared in a way that protects patient privacy. “This exciting new project means that we can expand our resources for researchers around the world. We want scientists to have the best resources to be able to easily study all types of cancer,” concluded Ian Walker, Ph.D., Cancer Research UK’s director of clinical research and strategic partnerships.